Alan was formerly a full-time professional guitarist playing rock, pop and jazz and is proprietor of Axe Music, a music shop, which he opened in the mid 70’s. The business currently operates online which allows more time to be dedicated to Serenata. He plays oboe and cor anglais and achieved Grade 8 with distinction. 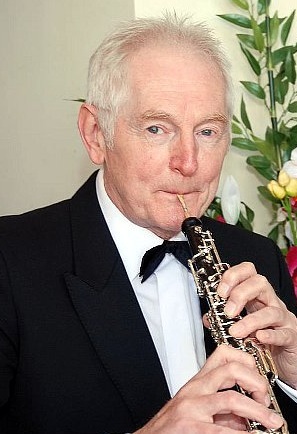 He currently plays in the Clacton Concert Orchestra and Firewire, a Colchester based contemporary music group. He teaches guitar and does some guitar repair work. Well done again Alan-I very much appreciate your efforts-it`s a difficult instrument you have chosen, but then again, you were never one to tread the easy path in life!